Sander Lak has stuck to his guns for the past couple of years. 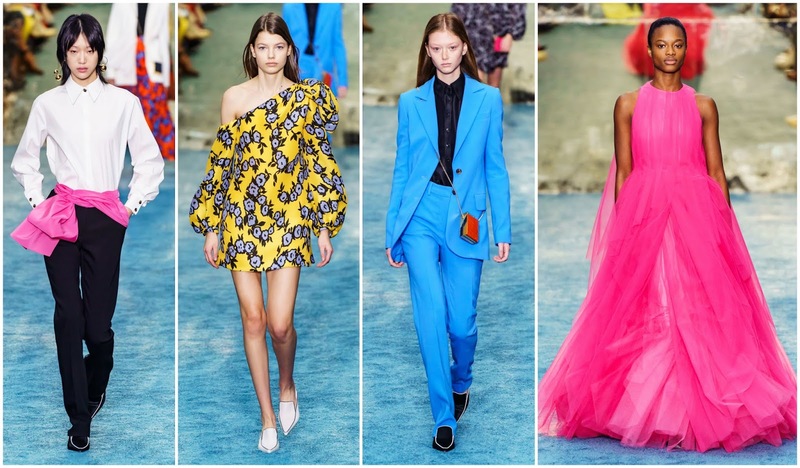 The Belgian designer, and once an assistant to Dries van Noten, exploded onto the fashion scene in 2017 with colour stories worthy of Tate Modern exhibitions. Lak started out as a relatively-unknown, in an unsold, unfurnished New York real estate property. Three years later, he’s one of the most in-demand names at New York Fashion Week, commanding the attention of top editors and important buyers. He’s proved himself as one of New York’s finest, and one of the few designers worth travelling to America’s fashion capital to see. Falling in love meant fluid forms. 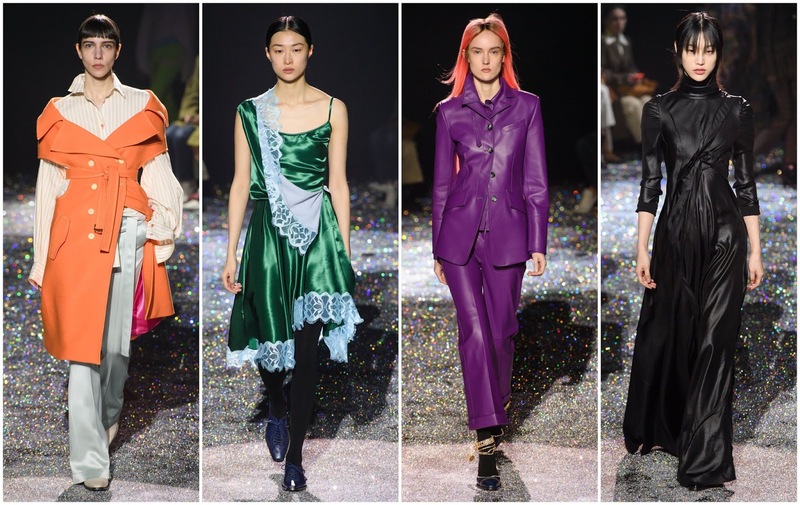 On paper, it was your typical Sies Marjan show but there was newness abound. Firstly, he segued from softer palettes into extraordinary neon hues. Slightly chaotic styling evoked the near-incapacitating rush of falling headlessly in love, playing on the duality of comfort and discomfort. He introduced lace and asymmetric drapery and fine-tuned his tailoring output. Lak trod new ground whilst continuing to compel his audience with fantastic fashion that can be adopted into a woman’s everyday wardrobe. It’s the kind of fashion you can fall in love with. 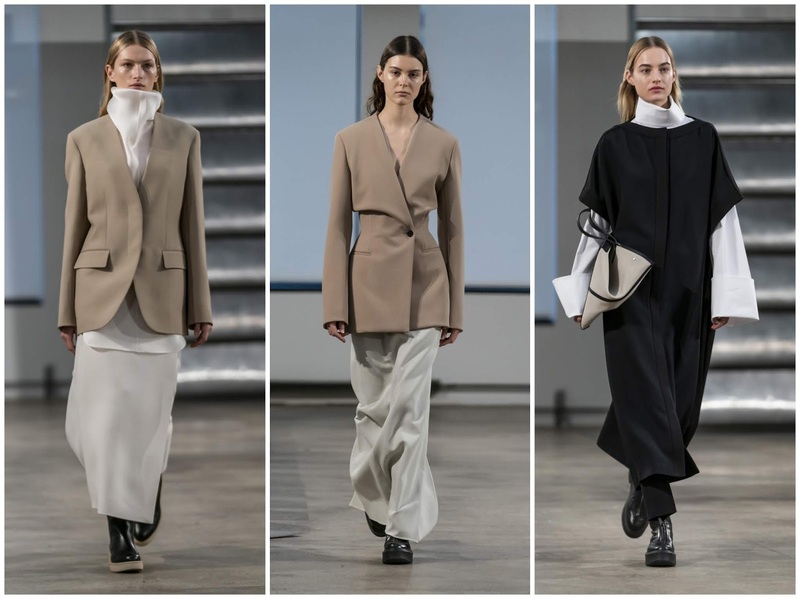 Established in 2006, Mary-Kate and Ashley Olsen’s brand, The Row, prescribes the ease of luxurious basics with the rigour of Saville Row tailoring. A coat could cost you $8,000. You won’t get change out of $5,000 for a suit. A handbag commands a $1,500 price tag. Of course, their clientele won’t have an issue with this. Press, buyers, and eventually customers, flock to The Row for a soothing repose, a momentary lapse from the tumultuous political climate, and a balm to the world’s woes. They fashion a narrative driven by neutral shades and supple shapes. From oversized blazers with nipped waists, turtlenecks to retreat into on dark days, and jackets to swaddle oneself in when the temperatures begin to plummet. They do everything with such effortless mastery. They’re the kind of clothes that ‘spark joy’ and it’s a recipe that never gets old. Wes Gordon had to update Carolina Herrera, where he started a year ago. Gordon’s gambit is the uptown chic doyennes that his predecessor connected with but Herrera’s legacy will only be honoured if the incumbent catches the eye of younger clientele. His attempt last season faltered in its datedness. He responded to the lukewarm critical response with a collection that was modern in its disposition and colourful in its expression. Amidst a sea of twee cocktail dresses and flowing trapeze gowns, Gordon incorporated some neat tailoring, blazers with cut-out details, and oversized jackets. If Gordon wants to have the same grasp on New York Fashion Week that Sander Lak and the Olsen twins have he’ll need to cohere his point of view.